Enerquip is a trusted supplier to its client base, which consists of both local and global companies that collectively produce goods exceeding many millions of dollars in value every year. With a broad client base covering multiple industries, Enerquip is able to draw upon the extensive knowledge of each industry’s best practices. All Enerquip service technicians, service planners, and sales representatives are trade qualified and expertly trained. And just as importantly, they are committed to achieving results and solving problems for clients. Enerquip’s service technicians and support teams provide 24 hours a day, 7 days a week service, technology, and backup assistance. Enerquip follows a best-of-breed approach to provide the highest level of quality and service. With systems that utilise world class reporting and forecasting, Enerquip ensures all equipment and services managed for clients are always kept running at an optimal level and condition. Since Enerquip’s inception in 1990, they have worked under the same stable management with long-serving staff. They have provided Service + Reliability for thousands of local and global clients. With access to national and international service and distribution networks, Enerquip can help. Regardless of client requirements, Enerquip-supplied products can be supported everywhere in the world. 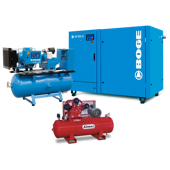 Enerquip has built alliances with some of the world’s top providers of cutting-edge air compressor technologies and high-tech compressed air filtration systems. Enerquip only supplies proven products with a history of excellence and engineering expertise. Enerquip is a 100% Australian owned company operating from Brisbane, Queensland & providing vital services for enterprises both large and small. 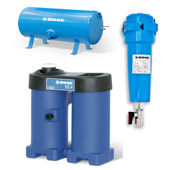 Enerquip has comprehensive public liability insurance cover and only employs expertly trained and trade qualified technicians to look after your compressed air systems. 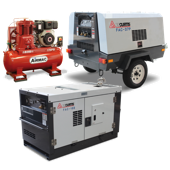 Enerquip’s valued clients enjoy all the benefits of prompt and direct service. Enerquip is big enough to act, yet small enough to react.